Acupuncture is renowned as one of the most effective healing systems. For thousands of years, this healing system has been practiced for curing people. In this system, needling techniques are used for healing purposes. At first, certain points are identified on the body of the patient. These are the points that are known to have whirlpools of energy. Furthermore, they are also connected to all the organs and body parts via channels, known as meridians. On those points, acupuncture needles are inserted. They re-align the whirlpool of energy; thus, stimulating the natural healing ability of the patient. 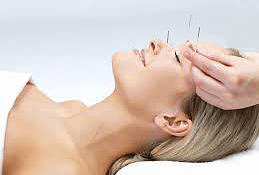 Acupuncture is considered to be a safe treatment. It poses no harm to the patient. However, for this to happen, it needs to be done in a correct manner. Therefore, you must trust professionals when it comes to acupuncture treatment. Getting this treatment from an inexperienced or incompetent health expert may do more harm than good for you. Hence, visit a reputed health care center for acupuncture treatment in North York. Unlike other treatment options, there are fewer chances of suffering from side effects of this treatment. This is the major reason why many people opt for this treatment. Some of the risks associated with this therapy are bleeding and soreness at the insertion points. People who use blood thinners or have a bleeding disorder are advised against getting this treatment. Furthermore, it is firmly recommended to use sterilized needles otherwise it can result in an infection. Another prominent benefit of getting this treatment is that it can prevent allergies, provided one has gotten this treatment prior to the start of allergy season. It can also help to reduce the symptoms of allergy and treat it. Stress is one of the major concerns in today’s time. Whether it is caused by work routine or a happening in personal life, it greatly disturbs one’s quality of life. With acupuncture therapy, you can get cured of stress as it can lower the hormones of stress. Furthermore, it improves mood and helps to lower anxiety as well. Thus, promoting a healthy lifestyle. People who work in offices, they face numerous health-related issues in their day to day life. For example, they get eye strains, headaches, posture issues, back problem, neck pain etc. All these issues can be treated with the help of acupuncture. This is why it is said to be useful for office-goers. Another benefit of acupuncture is that it helps to improve the immune system of the patient. It does so by fighting off pathogens. When the immune system is strengthened, the chances of suffering from different diseases get low and the duration of flu and cold is also shortened. Acupuncture therapy can help the patient to have increased energy. With increased energy, their productivity at work, studies or sports also gets enhanced. Furthermore, it also helps the patient to get mental clarity and improved focus. Insomnia greatly affects one’s life quality. It is one such disorder that can give rise to numerous other issues. For example, lack of sleep can result in stress, loss of focus and concentration, reduced productivity, tiredness, increased irritability etc. Acupuncture therapy has proven to be quite effective in the treatment of insomnia. It will help you to have an improved sleep pattern; thus, your quality of life will also improve. As discussed above, you need to get the best acupuncture treatment in North York and for this, there is no better name to rely on than Body Dynamics. We have a dedicated team of experts who specialize in providing acupuncture therapy to our patients suffering from different health disorders or chronic pain. They are well-trained in using needles for this therapy. Furthermore, we make sure that the needles used for this treatment are properly sterile and clean. Due to all these features, we are known as the best health care center for acupuncture on Eglinton and Dufferin. At Body Dynamics, a typical acupuncture session includes discussing the problem causing pain or discomfort to the patient. The acupuncturist will diagnose their condition and take into consideration their health-related goals before going ahead with the acupuncture. For diagnosis purposes, they will press the vital organs of the patient and have a look at their tongue. this is also done to make sure there is no other factor that is causing an imbalance in their body. Once the diagnosis process is complete, the actual process begins. During this session, small needles that are disposable and sterile are used. These needles are placed on certain points of the patient’s body. After the needles have been placed, the acupuncturist checks for the pulses. This is done by gently placing the fingers on the body of the patient and their hands. The purpose of this practice is to feel their energy flow. It is to be noted that these needles are placed on the body of the patient for a short period. Once these needles are removed, they can resume their routine activities without any difficulty or discomfort. A Key Advice: After getting this treatment, it is recommended to drink a lot of water. For more information or if you have a query, use our “live chat” feature.